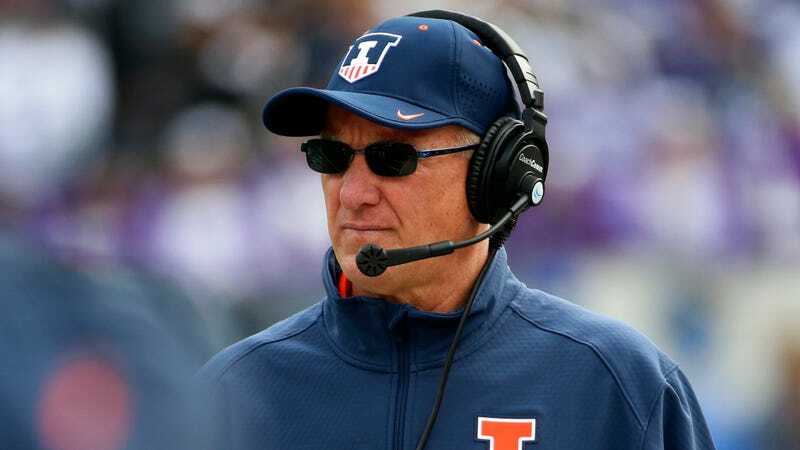 Illinois AD On Coach He Just Rehired: "It's Not Ideal"
“Everything was on the table originally,” Kowalczyk said. “But the bottom line is trying to keep some contunity, trying to keep some consistency in the program and the kids are clearly behind Bill and supportive of that decision. That was the over-riding factor, I think, in that decision. That said, maybe saying something along the lines of, ‘Our guy is whatever,’ isn’t the strongest endorsement of his talents going forward.